1. Can I have a team? Yes you can have a team! We encourage you to climb with your family and friends. Go all out and make team t-shirts, dress up together, climb together and have a great time. 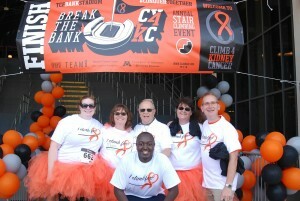 Teams can also create a fundraising page and make your climb count even more in the fight against Kidney Cancer. The largest team will get an award. Team Sharon wearing the tutus! 2. Where do I determine which climb I’m going to do either the Piggy Bank, the Big Bank or the Burly Bank? When you register, you will indicate which “Bank” you are going to climb. Only competitive climbers must stick with selected “Bank”, i.e. non-competitive climbers can switch from course to course as desired, but their times cannot count for official timing or race prizes. Burly Bank participants best time through the Big Bank will be eligible for placement in the Big Bank results. If Burly Bank participants run out of time, or energy, before finishing a complete circuit of the Big Bank, they must have a race official mark the location of the last stair climbed to receive credit for a partial circuit. Last start for Burly Bank is 11 am. 3. What if I’m not sure I can do the Big Bank, but I want to try? Can I switch to the Piggy Bank or stop all together? 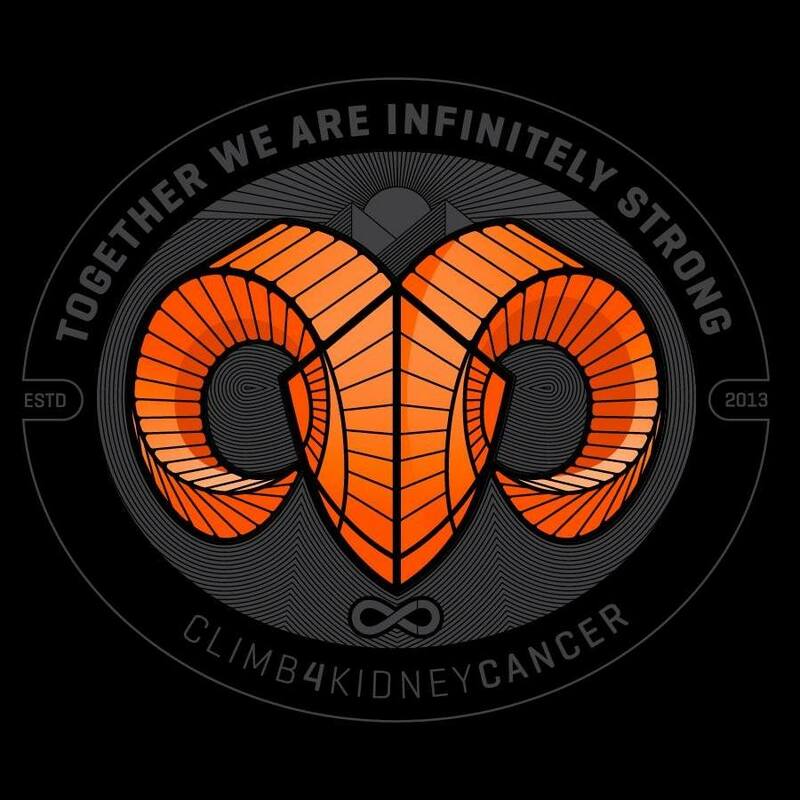 If you are participating in the racing portion of the climb, you must complete the race you indicated at registration to get a certified time or be eligible for placing. At any time you can step out of the race and walk to the elevators to the post race reception. If you are just participating, you can climb as many stairs as you would like, on either the Piggy Bank or the Big Bank, and stop at any time, and even repeat if you would like. The non-racers will be timed, but these times will not be official or eligible for placing. 4. Will there be water along the way? Yes. There will be three water stations along the way and water in the post race reception. The water stations are also where you can stop and kill a few kidney cancer cells along the way. 5. I’m not in very good shape, is this event for me? This event is for people of all ages and sizes. We’ve had babies in back packs, and 80+ year old participants. There are handrails, and smaller stairs on the piggy bank that are easier on the knees and the heart. This event is fun and any stair you climb helps to make a difference. If you can’t do stairs consider being a virtual climber this year or doing the 2K summit stroll. 6. Does everyone start running at the same time? No. Though you will be asked to report at a specific time with other racers and participants, participants in each heat will be separated by about 10 seconds to try and limit the need for racers to pass each other on the stairs. You will be chip timed, so your race time will not actually start until after you cross the “start” timing mat. 7. Is it legal to pass another climber? Yes. Passing another racer or participant is legal, but only if you pass on the opposite side of the hand rail, or on the mezzanine level. It is illegal to grab another participant or their clothing or pass on the same side of the handrail if you are racing. We suggest faster racers move towards the front of the heat to limit passing. Our number one goal is to have a safe, enjoyable event. 8. How will I know where the course goes? The course will be marked with arrows and signs and running tape. Have a different question we didn’t answer here? Please contact us!